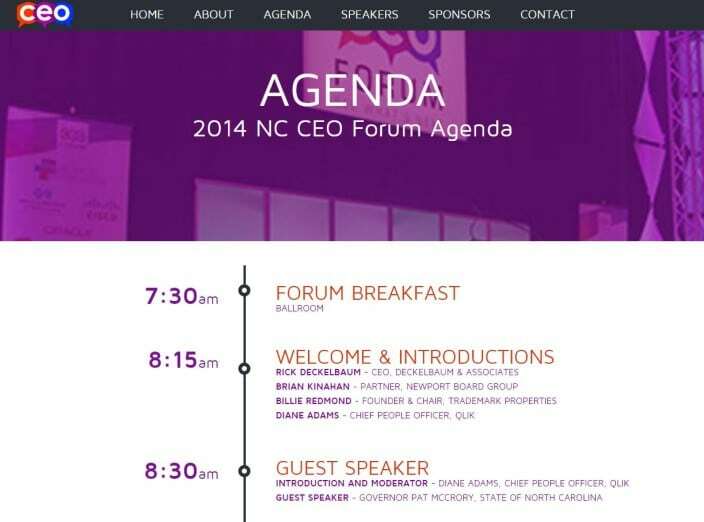 Over the past 6 years the NC CEO Forum has become one of the premier leadership conferences in the region. 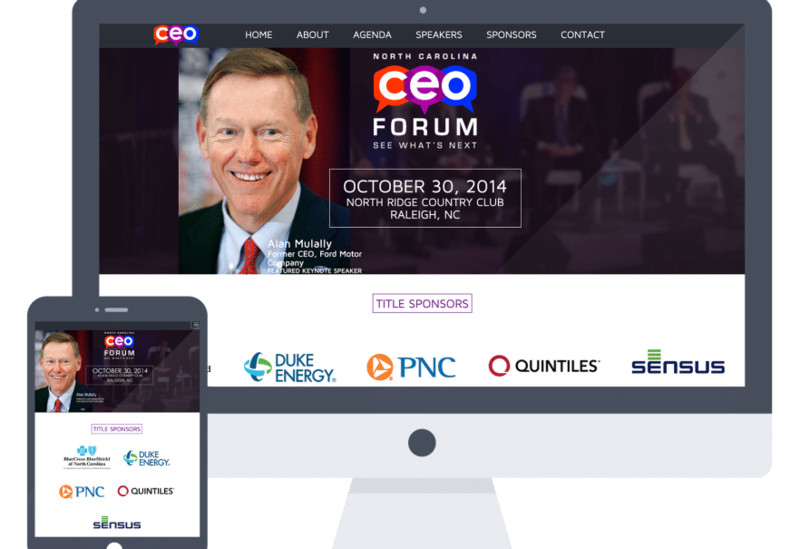 Corporate support from the likes of Blue Cross and Blue Shield, Duke Energy, Quintiles, Cisco, Lenovo, Sensus, PNC Bank, and many others have come together to help make the NC CEO Forum what it is today. 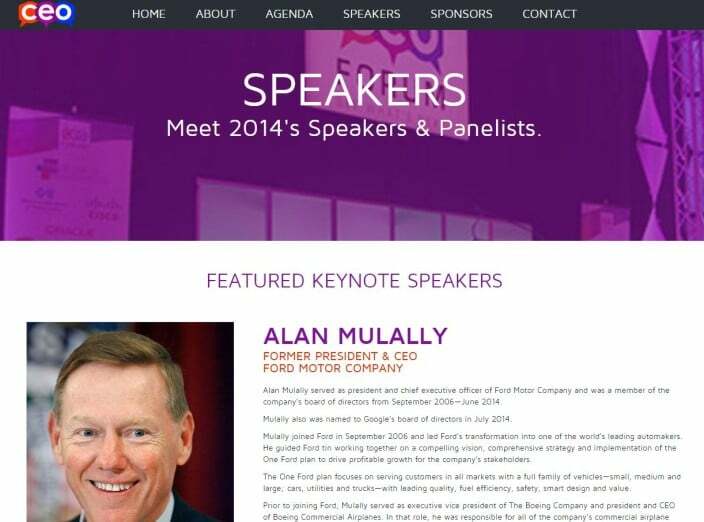 Speakers have ranged from Gen. Colin Powell to former GE CEO Jack Welch. Brasco /// has played a role in the planning and marketing of the event. 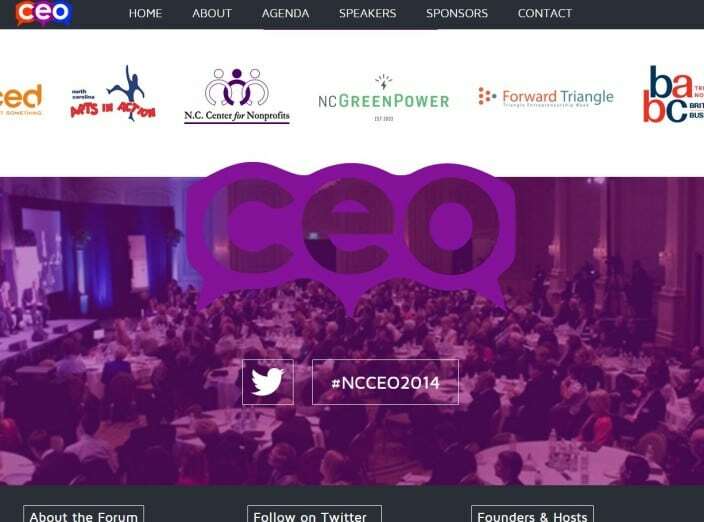 The NC CEO Forum is one of the largest gatherings of top CEO’s and corporate executives in the southeast. This successful annual event is a culmination of planning and event marketing. 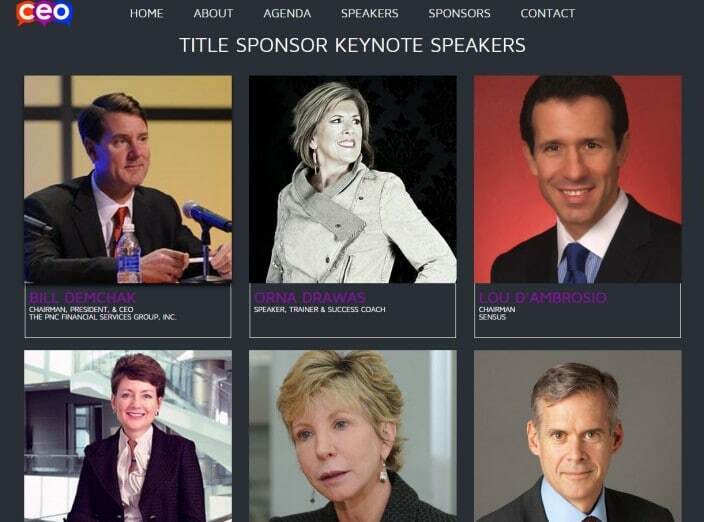 Organizers of the NC CEO Forum continue to raise the bar higher and higher each year with big name keynote speakers, sponsors, and goals of raising money for nonprofits such as Make A Wish Foundation. Brasco’s goal has been to secure corporate partnerships, build the online brand and help manage marketing efforts and engagement. Brasco/// has served as a “partner sponsor” for the past 3 years, helping with event planning, branding, online marketing and managing nonprofit fundraising efforts. Our co-founder, Brandon Ives, serves on the planning committee to assist in ongoing efforts throughout the year. The event continues to exceed goals in attendance, sponsorship, and fundraising efforts – raising nearly $50,000 in donations for its nonprofit partners. Brasco helped manage various marketing efforts and secure corporate partnerships from companies such as Cisco, Allscripts, and Lenovo, to name a few. We have helped the event grow year over end and continue to attract top c-suite talent.